Time for adventures in the colourful Maltese countryside! Ahh, the lovely spring is back! Beautiful sunshine, warm Mediterranean breeze and friendly smiles all around. Now is the perfect time to get out of the house and explore a little. 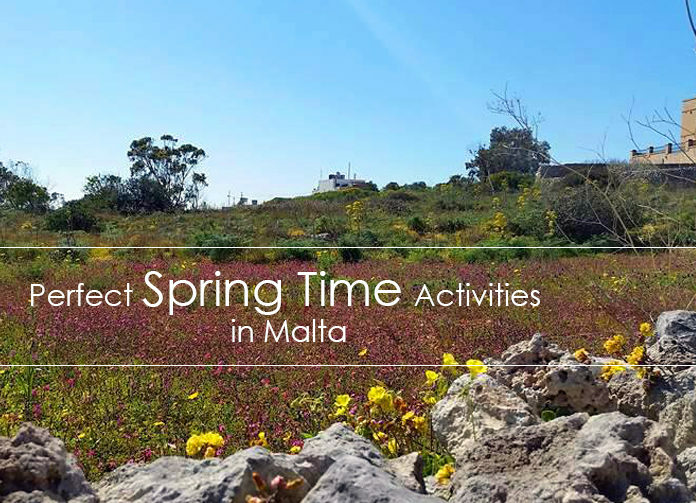 That is why we have put our heads together and listed some of the more curious spring time activities in Malta. Sure, you can always go for a visit to Mdina. Or a picnic over in Ta’ Qali sounds great. Let alone visiting Gozo, an amazing experience. But what we have in mind for you is just as invigorating and very much rewarding in a multitude of ways. And when we say walk, we mean business. The group Experience: adventures and more has organised what one might call The Great Walk. Well, actually, they’ve called it The 2- Islands Challenge in aid of Dar Tal Providenza. It’s a 45 km walk covering both Gozo and Malta, all within one day. You’ll get to enjoy amazing scenery, challenge yourself, but better yet, do some good for others too. Hurry up and register, as the walk takes place already on 31st of March. Don’t feel like taking on a marathon and some more just like that? Well, we have just the thing for you! Start off with something a little easier, just a little trek. You’ll still get to enjoy plenty of the beautiful green countryside. And mingle with like-minded people. Get a bit of workout in. And I haven’t even told you the best part yet, though. You will get a chance to make one lucky little pooch extremely happy. Never know, you might end up with more than a memorable day – a new best friend for life. Take a dog for a walk. Seriously. Grab your happy little friend and make his day. Come on, you know it’s long overdue. Don’t have a dog? No worries, the little guys in the shelter will be more than happy to oblige. Never know, you might end up with something much more than just a memorable day; you might get a new best friend for life. A global initiative, Let’s Do It! provides a platform for activists who want to keep their country clean. The idea has taken root in Malta as well and events like this are popping up like mushrooms after rain. There are some organised by the global umbrella organisation, but you can find several independent events as well. 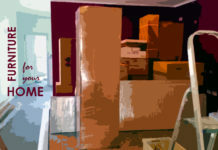 Better yet, why not mobilise your friends and clean up a location that’s important for you. It may be near your home, or at a beach, picnic area or a cliff side you love to go to. Every little bit helps and it is a great activity to do together. If you’re feeling a little adventurous and want to get to know a different culture, we got you covered. Go check out Capoeira Nagô Malta. In their own words, Capoeira is a Brazilian martial art that combines self-defense with music, dance, and acrobatics. What better way to get fit for summer, meet interesting people and learn a whole new philosophy of life, right? This question and many more get answered during regular gatherings put together by Malta Café Scientifique. 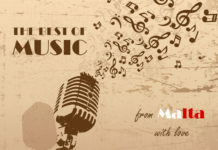 The group organises events that span from a variety of topics as well as mediums. The aim is to have people not only learn new things, but do it in a creative, fun way. Most importantly, to enforce a culture of thinking, questioning and insights. Often it is a half lecture, half show-like event where you can attend for free. The “Chicken and Egg” question was dissected in Spazju Kreativ just a little while ago. The next event coming up there is “Tremors” on the 5th of April. But there are several others, like live streams on Radju Malta and Science in the Citadel Gozo. Keep an eye on their Facebook group for the most recent information! Meeting both criteria is the annual Strawberry Festival. And oh boy, the deliciousness sure doesn’t fail you. The all-encompassing smell of strawberries will make you almost delirious. Your vision will be blurred by all the colours. And our best advice is to starve for about a week before you go there. Because you will most definitely not be able to say no to any of the goodies on offer. Did you even know you can make so many different things from strawberries? Get ready for 2nd of April! Fresh strawberries, strawberry cakes, strawberry pastizzi, strawberry vodka, strawberry smoothies – basically strawberry everything! Even the attending pets have got their strawberry on with cute little costumes. Adorable! In all fairness, taking part of one of the Marsovin Wine Cellar Tours is not necessarily a spring thing, but is rather amazing any time of the year. The cellars are just not that freezing cold once it gets a little warmer outside. Other than the room temperature, there is nothing to worry about. Only good things can come of this visit. The wines are, unsurprisingly, crème de la crème. The atmosphere is a little mystical and romantic. The wines are, unsurprisingly, crème de la crème. The person giving the tour is without a doubt an expert, but is also very open, friendly and easy to talk to. You will get to see wines that have been hidden away for decades and taste some of the best on the islands. In short, you’ve got nothing to lose. Go on, book a tour and get your snob on! It’s really simple – get out of the house, enjoy the lovely spring sun and meet new people. You will not regret it, I promise you. Have already been to some of those? Great! Let us know how was it, what you loved the most, what would you do differently? Know of some other fun activities or great events coming up? Sharing is caring, tell us in the comments. 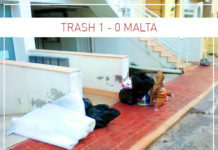 Previous articleMalta 101: Which Town Should You Move to?